TORONTO, ON (October 28, 2010) – With the 2010-11 hockey season under way, the National Hockey League Players’ Association (NHLPA) is pleased to announce that the players’ own NHLPA Goals & Dreams fund has launched its season of giving by donating more than 800 complete sets of brand new hockey equipment, valued at more than $350,000, to grassroots hockey programs worldwide. During this round of NHLPA Goals & Dreams donations, the 35 recipient grassroots programs span 10 different countries: Canada; the United States; Iceland; Slovakia; Czech Republic; Russia; Ireland; Sweden; Finland; and Romania. 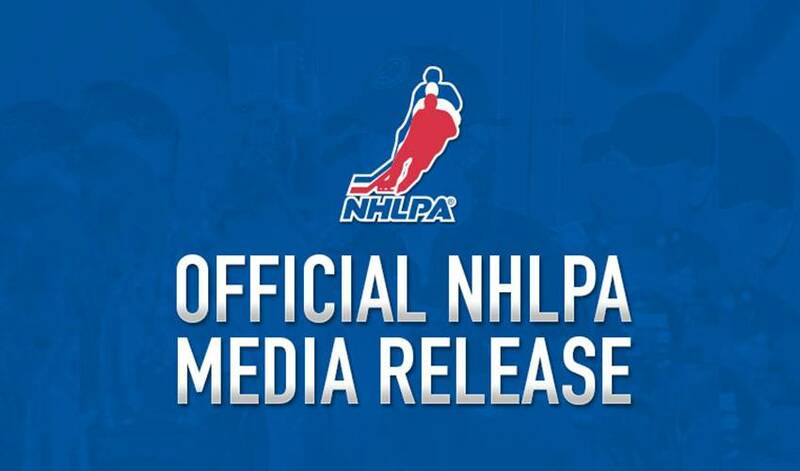 The players’ NHLPA Goals & Dreams program is the largest of its kind in the world, providing more than $19 million since its inception in 1999 – in support of grassroots hockey – and continuing with more donations later this season. These donations include a number of player-involved and supported programs, affiliated with Brad Boyes of the St. Louis Blues (Skates for Kids), Mark Fraser of the New Jersey Devils (Blackburn Minor Hockey Association), Bryce Salvador (Total Hockey Minnesota) and Mikael Samuelsson of the Vancouver Canucks (Mariefred IFK). Also included in this round of donations, NHLPA Goals & Dreams donated a combined total of 130 sets of hockey equipment to youth organizations in the host countries of the 2010 Compuware NHL Premiere Games, earlier this month. While many hockey equipment donations made through NHLPA Goals & Dreams are supported by current and former NHLPA members, most donations are made each year to programs with no affiliation to any players. To apply for a donation or for more details on the NHLPA Goals & Dreams fund, please visit http://www.nhlpa.com/www.nhlpa.com.